Home » Life Coaching Blog » Why are Some People Just So Charming? Do you ever wonder what that “magic” is that causes some people to attract others so easily to themselves? We describe them as charming, personable, or magnetic. Do you ever question why you’re not attracting the kind of relationships, personally or professionally, that you desire and deserve in your life? 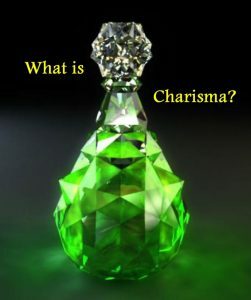 There are actually scientific, behavioral studies that research “charisma”, and there are specific skills that can be learned to improve your charismatic power. I recently watched a video entitled, “Five Habits of Exceptionally Charismatic People”. I would like to share with you some of the research that was discussed in the video and to add some additional thoughts. “Embrace imperfections.” Particularly for people who are pre-occupied with appearance, seeking to present a certain “image”, this is difficult. Those who are actually comfortable in their own flawed, imperfect skin are more charismatic because . . .
…they are more relatable. Flaws are not an excuse for poor performance, but accepting imperfection in ourselves and others let’s us breathe a little easier in a world that demands so much of us. Also watch those who are preoccupied with appearance. We tend to experience them as aloof, unapproachable, or insecure, and then we are often hesitant to engage. 2. “Don’t be a conversational narcissist.” I have a friend who likes to tell l-o-n-g, detailed stories about himself. I kindly remind him, “Please, just the Reader’s Digest version.” When asked a question, keep self-reporting simple and then re-direct the conversation back to the other person. 3. “Gush, don’t gossip.” There is a psychological dynamic called “spontaneous trait transfer”. It means that we automatically, unconsciously relate the traits someone is describing in someone else with the person describing the traits. If someone is speaking positively about someone else, i.e. gushing, we experience the reporter as a positive person. If the report is negative, we experience the reporter as negative. And note when someone is suffering from “reporting whiplash”. It goes something like, “So-and-so is out of control, but he’s got such a great heart.” Though this is intended to counter or balance the negative, it actually creates dissonance. 4. “Use your hands”. People perceive those who are more demonstrative with their hands are perceived as being more trustworthy. Those who are less physically expressive are seen as less honest and compelling. This is especially important when doing public speaking. By the same token, avoid distracting or dominating others with unnecessary gestures. If others perceive you as manic, they may experience you as anxious. 5. “Gaze deeply”, not to be confused with staring at someone, which makes us all uncomfortable. How do you know you have a good waitperson at a restaurant? When they focus on you while you’re ordering from the menu, rather than staring at the horizon over your head. We all know when someone is actually listening to us, because they look at us with genuine care (and they get our order correct). Reflecting the appropriate emotional response indicates that you’re focused on and attuned to their experience. So . . . when you accept your (and others) imperfections, focus the conversation on the other person, speak positively about others, be expressive and demonstrative, and show up authentically present – you are skillfully creating the magical potion of charisma.